When a hitman is scared, you know something is wrong. 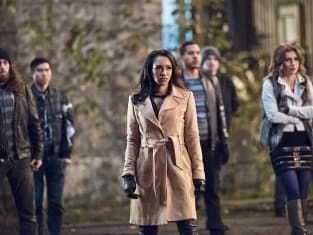 The Flash Season 2 Episode 12: "Fast Lane"
Thanks for the hang? Is he your son or your age inappropriate buddy? Permalink: Thanks for the hang? Is he your son or your age inappropriate buddy? You're coming home, Jesse. You're coming home. Permalink: You're coming home, Jesse. You're coming home. The Flash Round Table: Is Zoom Doomed?